What is a Public Adjuster Bond in Missouri? A Public Adjuster Bond is a type of license bond. The purpose of the bond is to protect the state or governmental entity for certain things, such as the payment of taxes. How Much does a Public Adjuster Bond Cost in Missouri? How do I get a Public Adjuster Bond? We make it easy to get a Public Adjuster Bond in Missouri. Fill out the form above and we’ll get right on this for you. Then we’ll get the Public Adjuster Bond right out to you. Easy. To every business or professional operation involves in making profit, acquiring license and permit bonds are essential. It is as the government often demands permit bonds to all business functions involving a consumer. You have to obtain the bond to get the license or permit for your business. The surety bond permits a consumer to file a case against a contractor in case of non-compliance and recover specific amount of cash for the insured portion of the project. If a customer files a complaint against your bond, you’ll face legal action. If you would like to know more on how to obtain a permit bond, below are a few of the essential facts that you must consider. The kind of license and permit surety bond that you are going to need for your business may vary based on the industry or category of your operations. It generally differs on its purpose and to how it may protect the customer. The principal purpose of license and permit bond is to help the clients recover specific amount of money should the contractor does not manage to deliver, and also to give them the right to sue the failing contractor. If you fail to perform as you should, the clients can report your bond, which will result in investigation, which in turn leads legal action. Take into account that non-compliance may result in possible loss for your company simply because you have disregarded the regulations and rules that cover your company or professional processes. Never try to violate any laws. Performance bonds are another common type of surety bonds. Its principal purpose is to help the clientele have an insured project. In an infrastructure project, for example, delivery of quality project result is necessary. Meeting all specifications asked for by the customer is area of the quality services. The advantage of having a performance bond is that the customer can be able to recover certain amount of the entire project cost due to the contractor’s non-compliance. This right and privilege is based on the argument that professional contractors have the skills, tools, and machineries to obtain the job done as prescribed, therefore there is no reason for the contractor to violate rules. But, in some cases, contractors fail to supply. Nevertheless, the customer won’t suffer any loss. This section details the essential advantages that you’ll enjoy once you employ a professional who holds a license and permit bonds. There are rules and methods that must be followed when operating a business, which the government requires. For a construction project, for example, license bonds define the step-by-step processes of the different processed to be done. When you employ a contractor, he or she has to follow this system. Permit bonds serve as an insurance to clientele who involved professional help. Should the project fails, the consumer will get considerable amount of compensation due to the quandary caused by the professional’s failure to deliver. The consumer, therefore, recovers specific amount of cash from the failed engagement due to the incapability of the professional to supply what he or she has promised. Following the right methods in acquiring license and permit bond is the easiest strategy to obtain it. The following are the easy actions that you need to follow when obtaining license and permit bond. Filling out the application form is the first step that you have to do. You can effortlessly obtain this online application form by using the online platform of an approved forum. Before you decide to can submit the application online, there will be a prompt asking you to verify the information you filled in each fields required. Be honest when filling out the form for it could result in serious predicament if you don’t. After you have submitted the application form, you are going to then get a quote stating the amount connected to the surety bond you’re applying. Remember, the quote is dependent upon the amount of the project you indicated in the application form. So be sure that your figures are correct. Take note. It’s only after the application form has been successfully submitted that you’ll be able to obtain a quote. Don’t attempt to fabricate the info you will provide to the bond. It is because doing so will only result in difficulties, for example legal action. 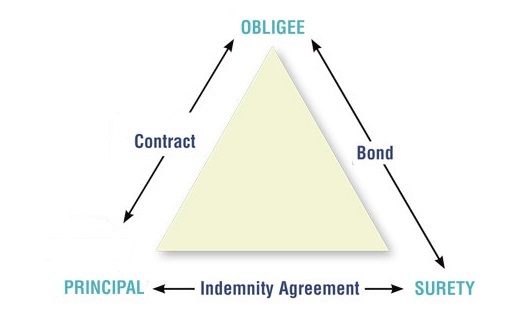 Remember that surety bond is governed by laws and regulations. Even if you have poor credit scores, try using the appropriate info. Understanding the information about license and permit bonds is vitally important. To help you find out more about the license and permit bonds, here are some essential facts for you. Fundamentally, the amount of a performance bond won’t be equal to the whole amount of the project cost. You’ll only be required to insure a particular portion of the project, which is equal to considerable amount of cash. For example, when selecting a bond worth a million dollars, you will only pay 1% of the whole rate. Second, the bond isn’t a license for your company. It’s rather an insurance to the consumers you are dealing with that their projects are secured and insured as mandated by the government’s existing rules and regulations. With that in mind, it’s safe to say that the license and permit bond is an insurance for your consumers, for which you pay. After you have finished reading this article, you must be able to understand now the need and benefits of acquiring license and permit bonds for your infrastructure projects. Just be sure that when you apply for a surety bond online, you should get it from an authorized issuing company so that there will be no problems when you process your license to operate. See our Missouri Public Adjuster Solicitor Bond page here.